Gamification implies the use of game mechanics to startups. We use the mechanics of traditional games to increase startup metrics such as customer retention. Acquiring new customers is expensive. Hence startups are increasingly looking to increase their customer retention rates and reduce churn. 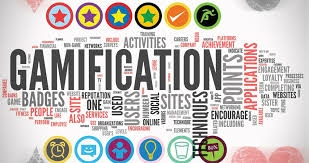 This is where gamification has emerged as an important tool. The metric which most startups look to target using gamification is the Lifetime Value(LTV) of a customer. Startups give users incentives (generally monetary) to engage more with the product. This generally affects users in 2 ways – it gives them an incentive to use the product more due to a monetary saving and it also tends to hit on their competitive instincts while competing with other users. Incentives can be in multiple forms. Points – which increase with the engagement level of the user with the product. Points can be redeemed for discounts or at times act merely as a score to compete with other users. Targets – which when achieved lead to the unlocking of a host of benefits for users. Gamification must be used well by a startup. It does not always add value. For it to do so, the game setup must be relevant for the business, must highlight the product benefits and must be able to add to the customer experience. Without all this, a gamification effort might end up irritating customers.